Are you ready for your next Indigenous Community Meeting? 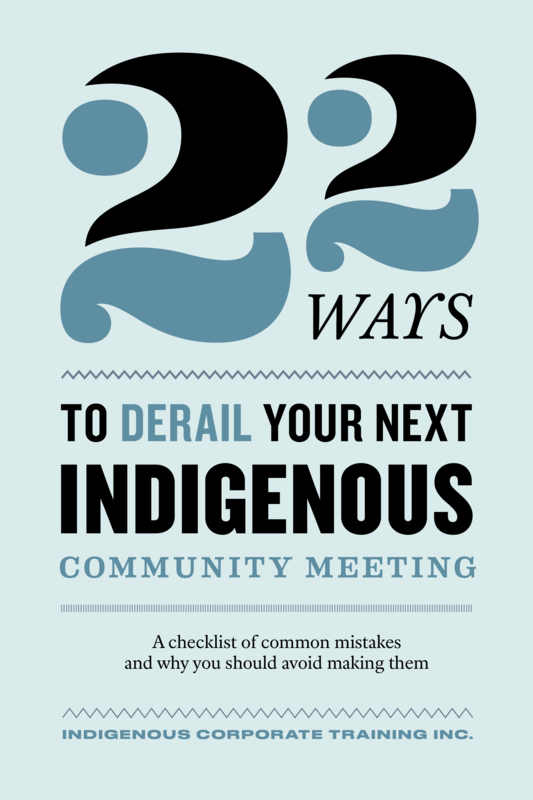 Read this ebook to learn about some common mistakes made during meetings in Indigenous communities. Some of these mistakes are quite obvious, some more subtle. It's important to avoid them all if you want to develop a good relationship with an Indigenous community. Please share with colleagues, family and friends - we don't mind because we believe that by sharing knowledge and information through our training, blog and free resources we can make the world a better place for Indigenous and non-Indigenous people.